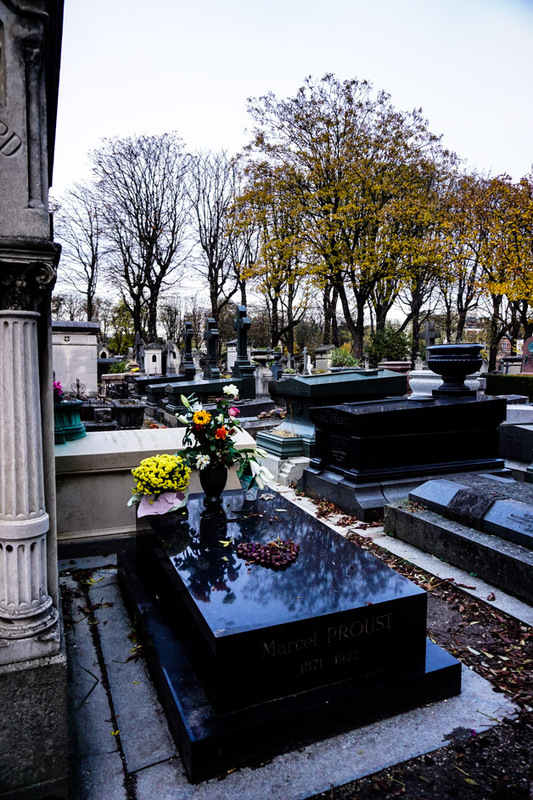 The Pere Lachaise Cemetery is an expansive burial ground sprawled over central Paris. It is arguably the most visited and famous cemetery in the city. 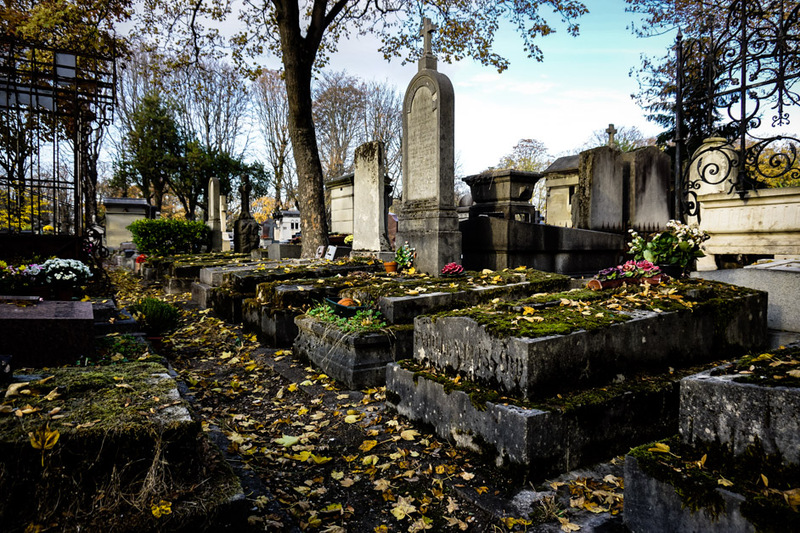 Visitors flock here to see the graves of many important historical figures scattered amongst the estimated 300,000 to 1 million others buried at Pere Lachaise. Close up shot of a beautiful crypt in the Pere Lachaise Cemetery, Paris. 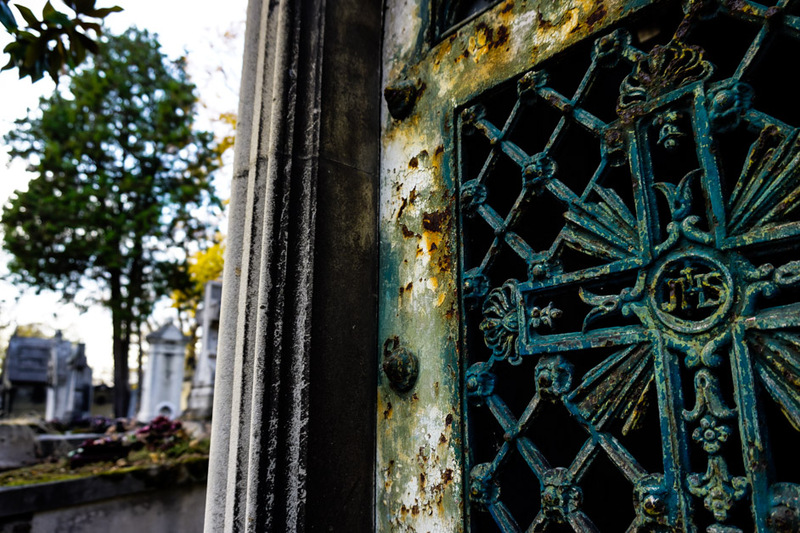 With so many important and interesting people interred at Pere Lachaise, it makes sense that a few ghost stories have accumulated about the property since its opening in the early 1800s. 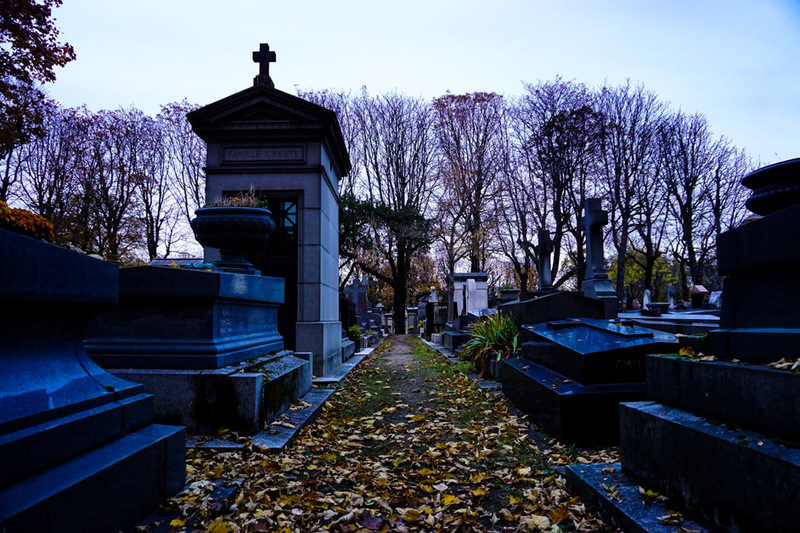 Graves of the most haunted cemetery in Paris. Paranormal activity has been reported in various sections of the cemetery. Some of that activity is believed to have originated from some particularly interesting burials. 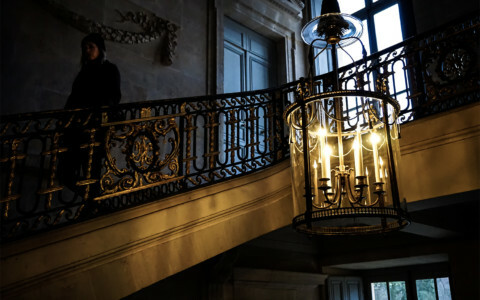 Exploring one of the most haunted places in Paris. Our first ghost story surrounds a former Prime Minister’s place of rest. Aldolphe Theirs, who was in power of Paris in the 19th century, is today believed to haunt his own tomb. Many people have allegedly claimed to feel the sensation of having their clothing tugged on when walking past his mausoleum. This is believed to be Mr. Theirs making his presence known. 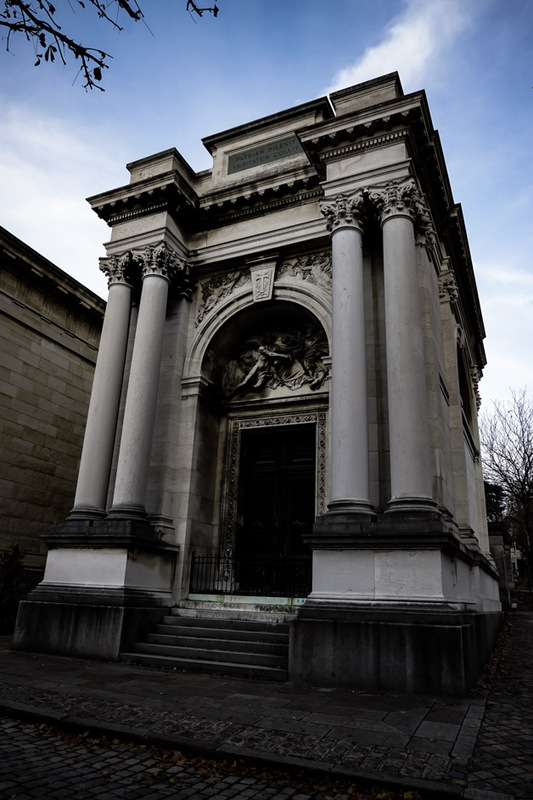 The haunted tomb of a former Prime Minister. Not all too far away is a famous author, Marcel Proust’s, burial place. Marcel has a well-kept grave, where a symbolic love heart shaped from discarded chestnuts sat upon. This ties into his tragic ghost story in a fitting way. It is believed that each night Marcel’s ghost rises from its grave in search of his lost lover. Unfortunately, he never actually manages to find his lover, who was buried at a separate cemetery against their wishes. The grave of Marcel Proust. 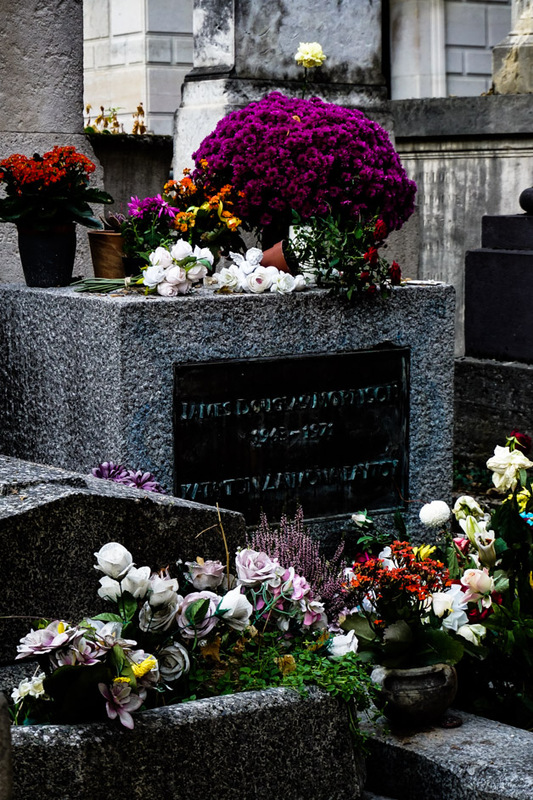 Our final ghost story relates to the most well known and visited grave within Pere Lachaise Cemetery, that of Jim Morrison, lead singer of The Doors. There have been multiple sightings of Jim roaming the cemetery, particularly around the area where he was buried. Some have even claimed to capture his apparition in a photograph, though this has been widely debated. Jim Morrison’s grave in the Pere Lachaise Cemetery. 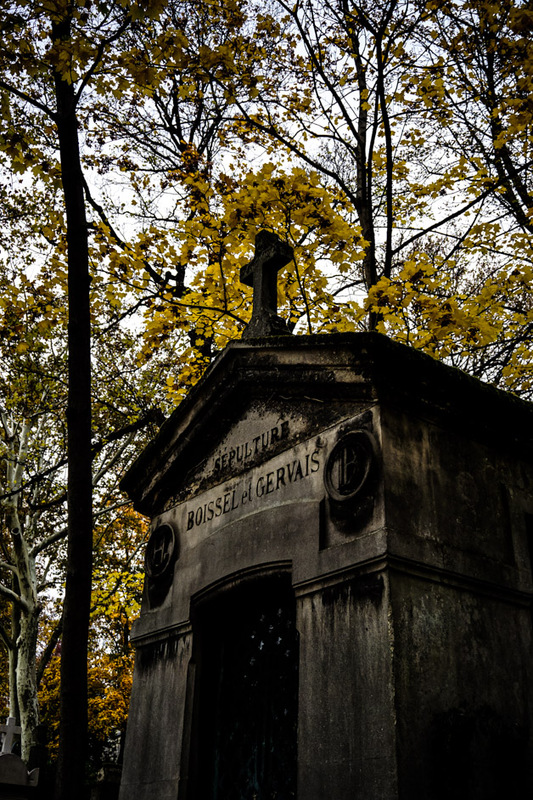 No visit to Paris is complete without visiting Pere Lachaise, at least for those who like to explore the darker side of history. There are many other notable graves to visit, including that of Oscar Wilde. 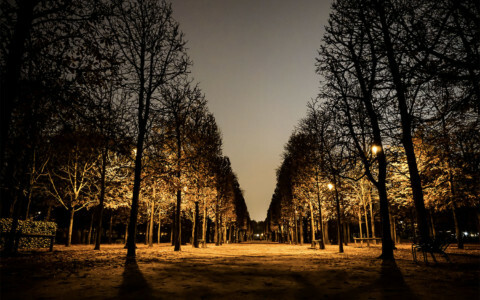 Darkness slowly falling over the spooky and beautiful Parisian cemetery. Entrance to Pere Lachaise Cemetery is free and the graveyard is open most days of the year during daylight hours. I recommend going early and spending a good couple of hours exploring as there is a lot of ground to cover. If there are particular grave you would like to visit, it is handy to come prepared with a map. 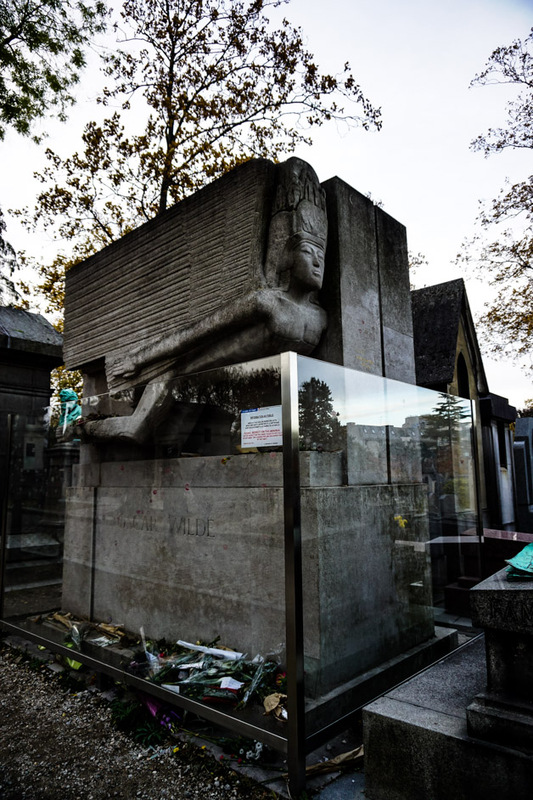 Grave of Oscar Wilde at Pere Lachaise. 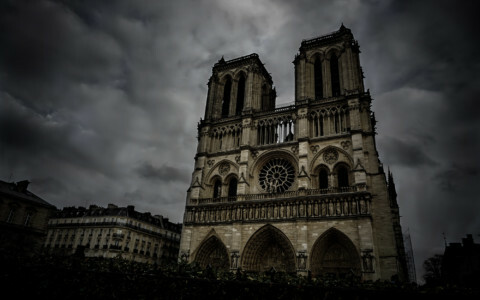 If you enjoyed this article, check out another which cover many more of the most haunted places in Paris.